Attorney General Sessions' announcement last week that he was rescinding Obama-era guidance to federal prosecutors to generally leave law-abiding marijuana operations alone in states where it is legal has paradoxically had the effect of energizing the movement to legalize marijuana at the federal level. 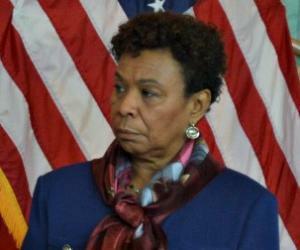 The latest evidence of the reaction came Wednesday, as Congresswoman Barbara Lee (D-CA) and Congressman Ro Khanna (D-CA) filed a legalization bill in the House. And it's not just any legalization bill. Their Marijuana Justice Act would help correct decades of injustice surrounding the discriminatory enforcement of marijuana criminalization laws in the United States. "We intend to end this destructive war on drugs, and this legislation will do that," said Lee at press conference rolling out the bill. "It's a roadmap for ending the drug war, but it also begins to address mass incarceration and disinvestment in communities of color. It is an essential step to correcting the injustices of the failed war on drugs, namely racial disparities in arrests and incarceration." In addition to ending federal marijuana prohibition by removing the drug from the DEA's list of controlled substances, the bill would allow anyone currently serving a sentence for drug possession to appeal for judicial review of his or her sentence. It would also use federal spending to incentivize states to reform their marijuana laws "if those laws were shown to have a disproportionate effect on low-income people and/or people of color." That last provision is especially striking given that nearly every state disproportionately arrests and imprisons blacks for marijuana. With this language, the federal government could become an engine for state-level marijuana legalization instead of an impediment to it. "This would force states with records of racial bias in arrests and sentencing to clean up their acts by cutting funds to the worst offenders," said Lee. But even that would only begin to repair the damage done by the drug war, the Oakland congresswoman explained. "It's not enough to just expunge records and end over-incarceration," Lee said. "Restorative justice is extremely important, and these victims of our failed policies deserve our support during the reentry process, too." 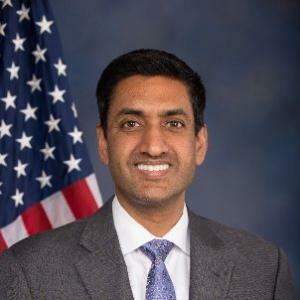 For bill cosponsor Rep. Ro Khanna (D-CA), it's the economics, but not just in the traditional sense of increased economic activity and tax revenues. While he pointed to the potential economic gains of legalization, he also highlighted the opportunity costs of pot prohibition and underlined provisions in the bill that would spend federal funds to invest in communities ravaged by the drug war. "The estimates are that legalization would lead to a $40 billion a year industry, with a million jobs and $7 billion tax revenues, which would more than offset the $500 million in the bill to help invest in communities of color. It's a net gain for government and for job creation," Khanna noted. "But the economic impact is so much broader," he pointed out. "How many people of color got arrested at 19, 20, or 25? That represents hundreds of millions of dollars in lost economic potential. With this bill, we're not just talking about legalization, but about giving people a second chance. The Marijuana Justice Act is the House version of the bill introduced in the Senate earlier this year by Sen. Cory Booker (D-NJ), Senate Bill 1689. Booker was at Wednesday's press conference for the House version. "There is a rush of enthusiasm for legalization," he said, "but it seems like hypocrisy and injustice if you legalize it but don't ty to undo the damage of the war on drugs. You can't get a Pell grant or a business or professional license for doing something three out of our last four presidents have admitted doing. The war on drugs is one of the greatest assaults on people of color since Jim Crow, and that's why this is a very happy day for me. We're trying to make this nation live up to is promise of liberty and justice, not just for the privileged few, but for all. 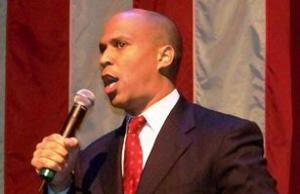 Sen.Cory Booker (D-NJ) filed the Senate version of the bill last August. "I think we are seeing momentum growing," Booker continued. "People who were skeptics are being converted. A lot of people are aware of how unjust this has been, and now there is more confidence from seeing early state like Colorado be so successful." Indeed. One of the most politically striking moments since the Sessions announcement was Colorado Republican Sen. Cory Gardner -- not a supporter of legalization -- taking to the Senate floor to excoriate Sessions over the move and vow to block Justice Department nominees until Sessions reverses himself. "More than 30 states have passed marijuana reforms," said Lee. "The grassroots and democracy is working. You will see members of the House and Senate move forward because the public supports this. It can't be stopped." "We are at a tipping point, with nearly two-thirds supporting marijuana legalization and an overwhelming 91% supporting medical marijuana, said Queen Adesuyi of the Drug Policy Alliance, which has been working closely with Booker and Lee on the bills. "Eight states have already legalized it, with Vermont and New Hampshire on the cusp. Yet, Attorney General Sessions continues to threaten the states. It's time to legalize marijuana, protect patients, and end federal marijuana prohibition." While momentum is building, the bills both face an uphill battle in their respective chambers. The Booker bill, introduced last August, still has only one cosponsor, Oregon Democrat Sen. Ron Wyden, and there is no indication it will get even a committee hearing this session. Lee and Khanna's House version of the bill already had a dozen cosponsors on day one, but again, it is unlikely to get a hearing under the House Republican leadership. But the legalization bills could fare better next year if the Democrats manage to take back the House and/or the Senate. And Jeff Sessions' war on weed could help them to do just that. There is evidence emerging every day of marijuana's medical uses. It is the best drug for that scourge of children Dravet's Syndrome. And it cures cancer!!! "This would force states with records of racial bias in arrests and sentencing to clean up their acts by cutting funds to the worst offenders," said Lee.Isn't this the same kind of thing the courts just said they couldnt do when Trump wanted to stop funding to his so called sanctuary cities?